Wouldn’t it be great if people you hadn’t seen for a while were blown away because you look so much better? Wouldn’t it be great if people couldn’t believe how much younger you look, how much weight you’ve lost, how much more alive you look? Wouldn’t it be great if you really did feel 20 years younger? Wouldn’t it be great if many of the health problems you’ve been dealing with would begin to fade away? Wouldn’t it be great if your concerns about your health and future were replaced by a sense of peace and trust? All of this is possible, and I assure you it does feel great. It feels great to feel great, and it feels great when people can’t help but marvel at the difference they see in you. The big idea of the blueprint is to help you become as healthy as you can be in every sense of the word. It’s about helping you feel great, and look great, too—not just in the short term, but for the long run as well. It’s possible to become healthier than you’ve been for a long, long time. It’s possible to rewind the clock and feel more youthful than you’ve been feeling. It’s possible (and necessary) to do this without starving yourself or exercising to the point of exhaustion. 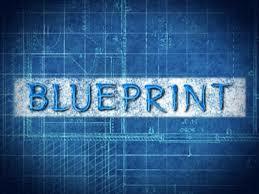 The blueprint is a step by step method for optimizing every aspect of your health and wellness. It’s safe, it’s extremely thorough, and it’s highly effective. Who’s It For, What’s It About, Why Was It Created? The blueprint is for those who’re done messing around with approaches that don’t work. If you want to turn your life and health around, this is for you. It’s a one-year program that provides you with everything you need to become and remain healthy in every measure: physically, mentally, emotionally and spiritually. Every facet of your life has to be reshaped so that lasting change remains impossible. Only a fraction of life is physical; to once and for all get healthy, you’ve got to deal with the whole shebang. The blueprint is “big picture.” It includes everything you need and leaves out the rest. The days of relying on your family doctor’s advice are long gone. The world is a radically different place from those bygone days. We can’t rely on experts to tell us what to do—we have to become our own experts. I believe in empowering people, in giving them the information and tools they need and teaching them how to effectively use them. I’m about helping people change their lives in ways they don’t even yet know are possible. Or necessary. The blueprint is a serious piece of equipment, and obviously it covers a lot of territory. I had no intention of creating the blueprint, but it had every intention of finding its way into this world, and wouldn’t take no for an answer. To say the blueprint is thorough is an understatement. The reason it’s so thorough is that you can’t change one item on the list above without also changing most or all of the others. Everything affects everything else at the same time and place. Nothing’s separate. Your liver and your brain and your gut and your mind aren’t separate, isolated aspects of a disconnected whole. They’re profoundly connected to your skin and your sleep and your enzyme function and the chronic muscle tension patterns in your spine; they’re a part of the interconnected web of you. Everything is everything, and unless and until we relate to life with a big picture perspective, things frustratingly remain the same. The blueprint is about treating the entireness of your being. It’s got to include your mind, your emotions, your hopes, fears, losses, regrets; it’s got to consider what you eat and how much stomach acid you create and what’s going on with your blood chemistry and what’s taking place in your energy field. It’s got to help you see yourself an awful lot more clearly. It’s got to show you what you resist doing to set yourself free and help you let go of the things you attach to that keep you bound. It’s got to go beyond the things you’ve already tried that didn’t work. There are doors inside us which we’re unaware even exist. It’s got to put the keys to those doors in your hands and give you the courage to use them. Until you do, you’ll never be free.